For years, the unofficial credo of the world’s postal administrations has been the one inscribed on the New York City post office building: “Neither snow, nor rain, nor heat, nor gloom of night stays these couriers from the swift completion of their rounds.” My apologies to all postal workers for any liberties I take, but an airplane crash, a war, train wreck or other calamity can sure play havoc with mail delivery. Interrupted mail from Canada and elsewhere often bears interesting postal markings. The mail can even show signs of accidents that interrupted its delivery such as charring by fire or damage from the elements, as vividly shown by the covers in Figures 1, 2 and 3. On 8 April 1954, Trans Canada Airlines (T.C.A.) Flight 9 left Montreal, Quebec, for Vancouver, British Columbia. The flight carried mail. The four-engine plane first stopped at Toronto, Ontario, and then proceeded to Winnipeg, Manitoba. The cover shown in Figure 1, with 5¢ in metered postage dated 7 April 1954, came aboard the flight at Winnipeg. The letter was addressed to my father at his place of business. He gave it to me knowing my interest in Canadian postal history. Figure 1 - Partly burned cover from the crash of Trans Canada Airlines Flight 9 in April 1954. Figure 2 shows a badly water stained reply postcard from the same wreck. The postcard, a Department of Agriculture Official mail three panel reply post card, is metered at 0¢ and has a duplex Ottawa machine cancel with a “FREE” killer. The dark stain at the bottom of the card is from a staple. The postcard was mailed from Ottawa, Ontario, on 6 April 1954, and went to Winnipeg where it joined Flight 9. Figure 2 - Another cover from the 1954 crash of Trans Canada Air Lines Flight 9, with “Salvaged from T.C.A. wreck” hand stamped in black across the front. As Flight 9 left Winnipeg for Edmonton, Alberta, its final stop enroute to Vancouver, a NATO training flight with a T33 jet trainer was preparing for take off at Saskatoon, Saskatchewan. As the T33 pilot gained altitude, his plane collided with T.C.A. Flight 9 over Moose Jaw, killing 36 people and scattering the mail on board over the surrounding countryside. Some of the mail went down with the T.C.A. North Star, and was lost in the fiery crash when the aircraft hit the ground. However, some of the bags survived the crash and were forwarded to a district post office in Moose Jaw, where the mail inside received markings in various colours. The crash is among those catalogued in the American Air Mail Catalogue , Vol. 1, published by the American Air Mail Society. Train wrecks or fires in trains have also been the cause of major interruptions in mail delivery. Figure 3 is an example such a cover. Its delivery was delayed by a fire in the baggage car of the westbound Canadian National Railway Train 9. The fire broke out somewhere between Toronto and Brantford, Ontario, on 23 December 1951. Figure 3 - Badly charred cover from a fire in a baggage car attached to Toronto, London, and Windsor Canadian National Railway Train 9. The fire broke out as the train headed west from Toronto on 23 December 1951. The heavily charred envelope, with its two King George VI stamps burned right down to the Kings nose, was stamped on the front with the straight line “DAMAGED IN RAIL ROAD FIRE” marking in purple. The damaged envelope (a multiple page financial document) was placed in a No. 11 sized Canada Post penalty envelope, and was forwarded with a note of apology for the inconvenience. The forwarding envelope (sometimes referred to as an Ambulance Envelope) bears an indistinct dated postal inspector hand stamp, struck in purple at London, Ontario. The envelope was cleared from the district office on January 6, 1952, per postal inspector marking. War rather than flames, consumed other mail or interrupted its delivery. 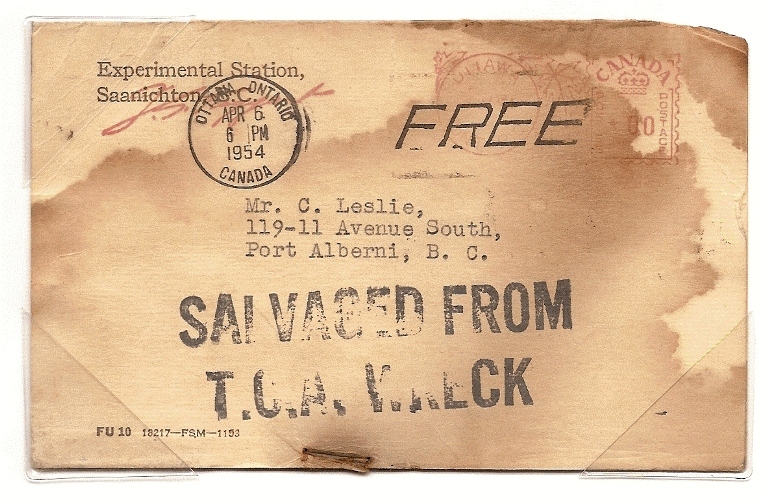 Figure 4 illustrates an interesting cover that just might be the earliest Canadian cover that documents stoppage of mail service to Norway because of the outbreak of WWII. Figure 4 - Cover to Norway returned to its sender due to the outbreak of WWII. The letter was addressed to Oslo, Norway, and was sent from Ft. William, Ontario, on 6 September 1939, just three days before Canada’s declaration of war. The cover is franked with nice pairs of Canada’s 1939 stamps issued to honour the British King and Queen on their visit to Canada and the United States in June 1939. It also bears a 6¢ airmail stamp issued on 15 June 1938. The cover is so nice that I am led to believe it was created for a stamp collector. It did however, go through the mail and was sent registered on 6 September 1939. On its back, the cover bears a Montreal B&F Division (British and Foreign Mails Division) circular date stamp indicating that service to Norway had been stopped because of the outbreak of hostilities. 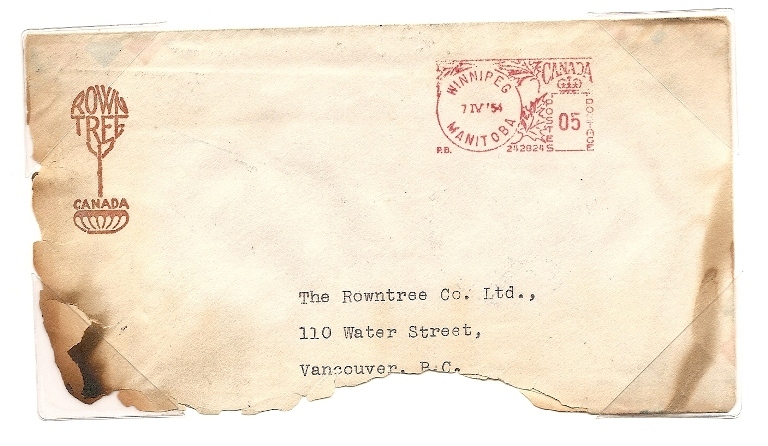 The cover was forwarded to the Dead Letter Office in Ottawa, Ontario, where it received a blue boxed hand stamp of 21 September and where the cover’s origin was confirmed. It was returned to the sender as an undeliverable letter. Mail service between Canada and Norway would not be resumed until 1945 at the end of WWII. My WWII collection includes another example of mail interrupted by war. Across the top of the cover shown in Figure 5 is the unnerving purple mark “REPORTED KILLED”. On the back of the cover is a postal label that reads “it is deeply regretted that the addressee died on war service” with the label tied by a military post office machine cancel of 24 August 1944. 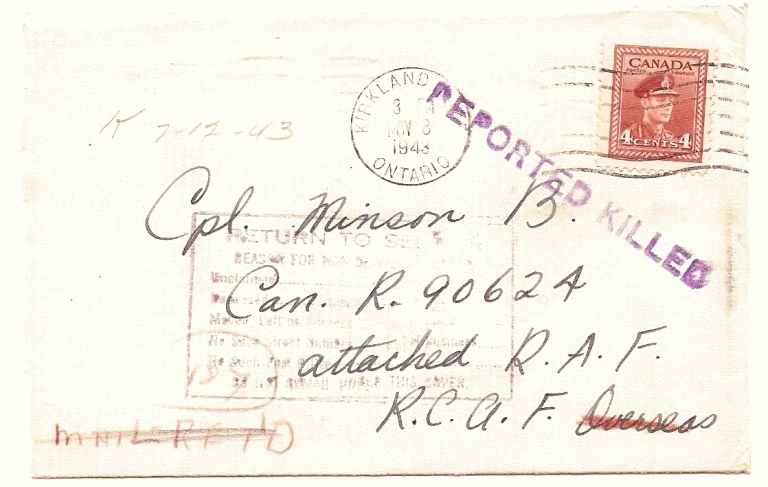 Figure 5 - The death of the addressee, a Canadian serviceman, interrupted delivery of this cover sent in November 1943. It was returned to the sender in August 1944. When you have an envelope such as this, it is important to handle it with respect and to display it tastefully in your album.